Photoxor C1 Version 1.5.0 is available now; upgrade or download for free. 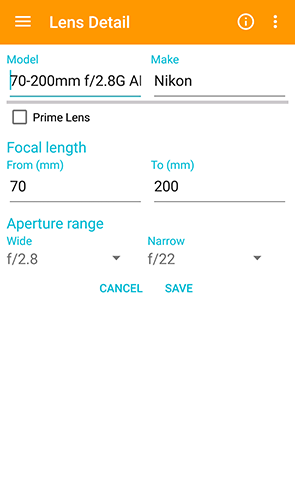 This allows to restrict focal length and aperture range in DoF screen. 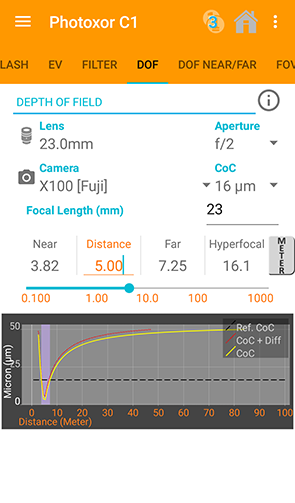 A one click set of hyperfocal length in DoF screen. 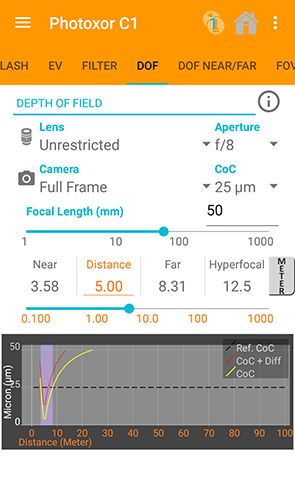 The Depth of Field screen now allows to define a lens, which then restricts the aperture range as well as the focal length range accordingly. 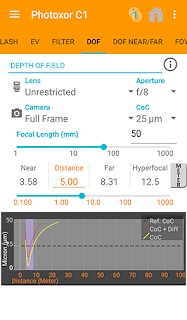 In case you would like to utilise the full range as previously, there is a lens definition called Unrestricted just for this. Also new, press on the Hyperfocal value. This now sets the Distance value to the hyperfocal! Please try it out. 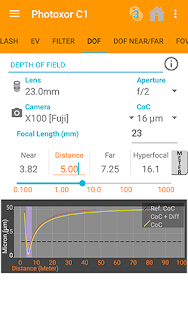 The app comes with a number of predefined lens characteristics to get you started. 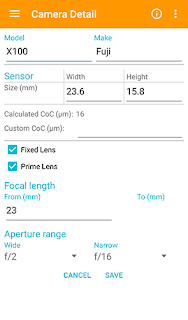 For a camera with fixed lens you are now able to define the lens together with the camera. Have a look at the following screen defining the Fuji X100 with its 23mm prime lens. The aperture range here is from f/2 to f/16. Within the DoF screen now select the Fuji X100 camera. 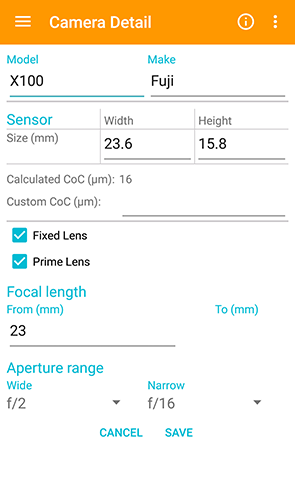 As the lens is fixed, the lens selection will be replaced by the lens description "23mm". 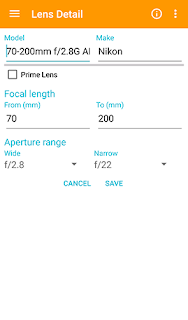 Aperture and focal length ranges are as per the lens definition. Please enjoy the new features. In case you find any problems, please let us know and we'll try our best to fix it quickly!